Not everyone is gifted with a green thumb but then again, it does not mean that they cannot attempt to develop one. Planting may appear to be a straight-forward and simple process but mind you, if it is not properly done, then the effort could be wasted. It can be discouraging to see plants that fail to grow properly but if you follow the right steps then you will succeed. When you are growing indoor plant it is important to keep in mind that unlike outdoor plants, it does not have the means to filter the water. Since it sits on a pot, it can easily drown if given too much water. By giving them adequate water drainage, you will not risk watering them too much. Just put a couple of drain holes underneath the pot so that excess water can freely flow out of it. You should also use indoor dirt rather than the standard outdoor dirt that outdoor plants usually use. And perhaps one of the most important things that you should make sure of is that the pot should be big enough for your plant. 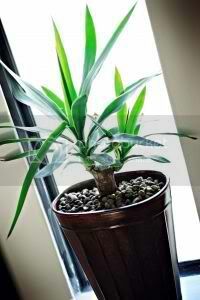 Remember, when you purchase indoor plants from shops, they are often placed on small pots. Make sure that once you get home, you put the plant to a bigger space. Plants tend to be healthier if they have more room to grow.